We are pleased to announce that Sitec IT have now achieved Microsoft Authorized Education Partner (AEP) status, demonstrating our ability to meet Microsoft academic customers’ evolving needs in today’s dynamic business environment. 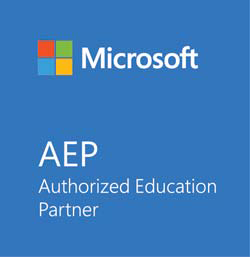 To earn a Microsoft AEP authorization, partners must complete a test to prove their level of academic licensing and market expertise. Sitec provides Managed IT Support to a number of academic clients in Surrey, Sussex and Hampshire. Our achievement of this status ensures that we understand our clients Microsoft licensing needs and that Microsoft has recognized our commitment towards clients in this sector.